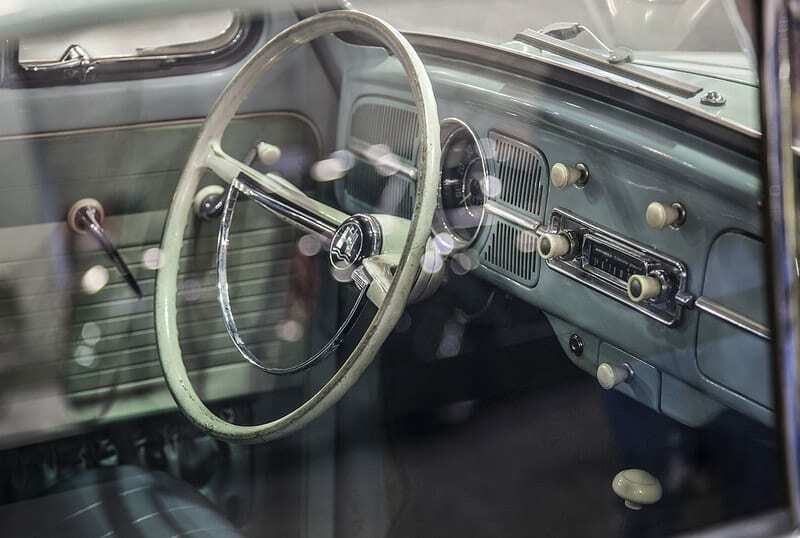 Earlier this week, we posed the question on Instagram “what was your first car?”…a ’63 Land Rover Series IIa, a Buick Regal, VW cabriolet, Ford Probe, Jeep Cherokee…no matter what it was, you loved it whether you care to admit it or not. 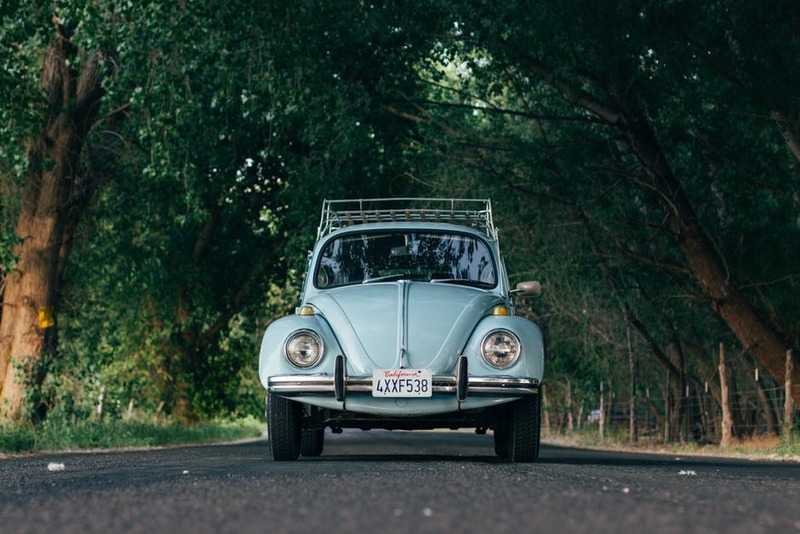 In 1989, I was handed the keys to my first car… my first first car that I could call my own…a 1968 Volkswagen Beetle. In reality, it was my older brother’s hand me down that was 40% primer. The rear apron was precariously wedged into place, unbolted, as the rear frame outriggers had been cut off due to an earlier accident. Back then it was just easier to lop off the offending rear parts than to actually repair them. The tires were literally petrified rubber that made better skis than tires. I carried a 9/16” wrench with me because at traffic lights I had to tighten the gear shifter mounts as they worked themselves loose about every 25 miles or so. But boy was it a glorious machine of transportation independence. There is no way we could ever cover the Bug in such a short read, it has a following and reputation larger than most anything we’ll ever cover here at Second Daily. 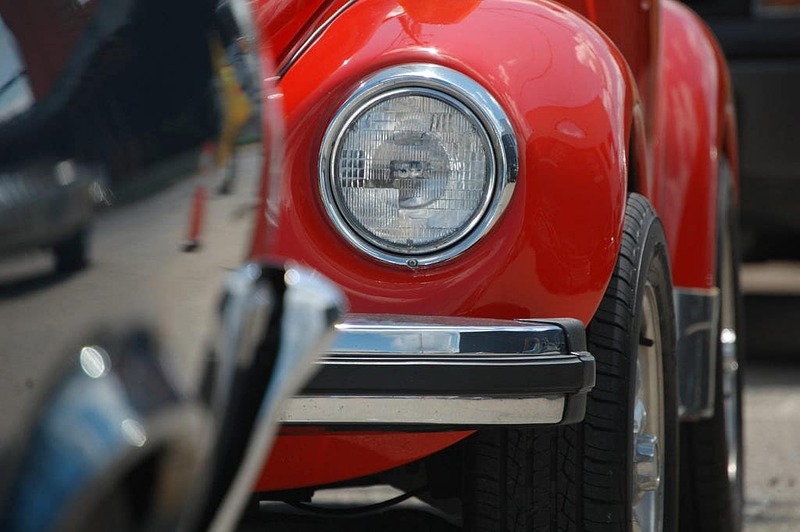 It is worth noting a brief history of the most famous recognizable car in automotive history though. 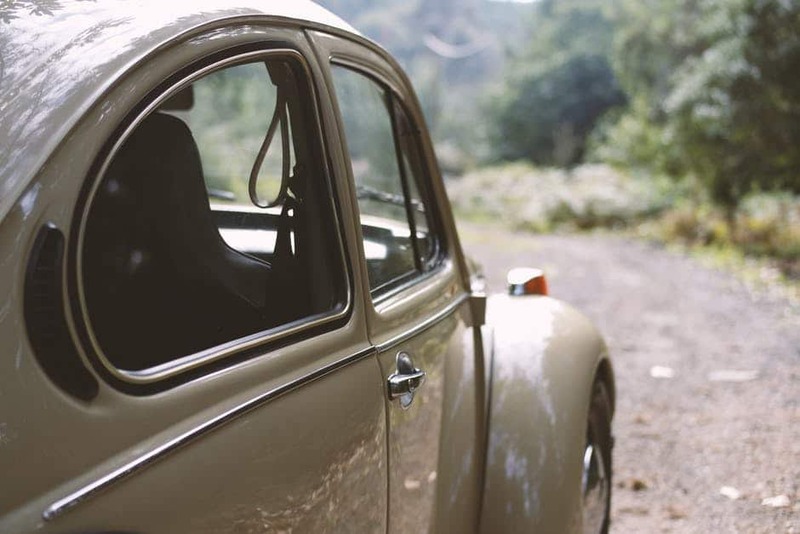 Surely you’ve noticed the similarities between the Porsche 356 and the Beetle…it’s not a coincidence given Ferdinand Porsche was awarded the contract to build the Beetle as a 1938 model. What is less known is the controversy surrounding who actually came up with the original concept. Paul Schilperoord writes in his book “The Extraordinary Life of Josef Ganz”, that in fact Josef Ganz, a Jewish engineer had sketched the idea 10 years prior to any claims of Porsche’s involvement. 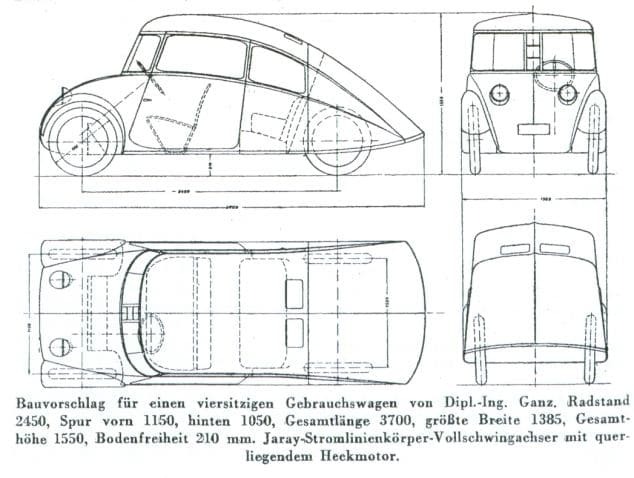 Early drawings from Josef Ganz of his economical car design circa 1923. Photo credits to Paul Schilperoord and Dailymail UK. 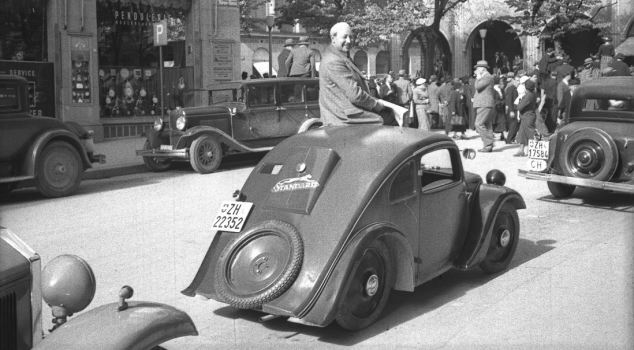 Josef Gans in a 1933 car show parade. Photo credits to Paul Schilperoord and Dailymail UK. So how is it as a daily? 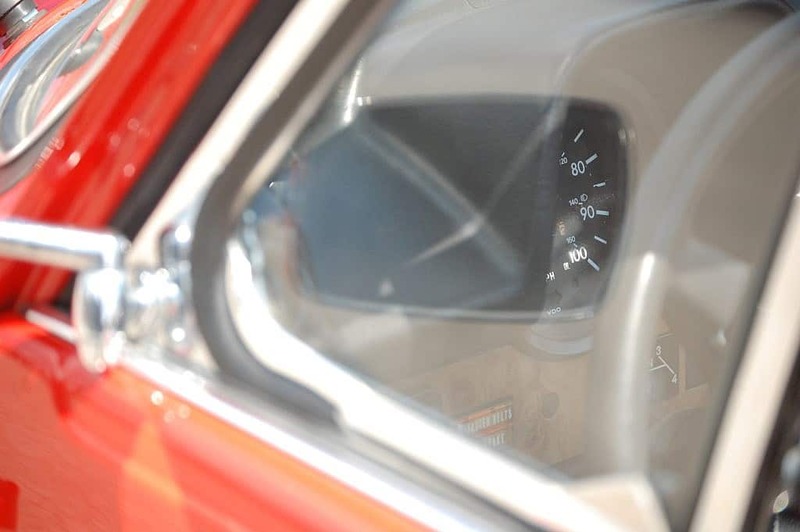 The build specs given to Dr. Porsche were simple, it must have a top speed of 62 mph (questionable, possible if going downhill), must have an air-cooled engine (definitely has that), be able to transport 2 adults and 3 children (ehhh, sure), and achieve 42 mpgs (maybe without the extra passengers). And most importantly it should sell for no more than £86 (not anymore). As a daily, it is great as long as you don’t need the luxuries of A/C or heat, cruise control, air bags, good brakes, or cornering abilities. The significant rear weight bias helps with acceleration traction, but the front end has terribly light steering. Heat is passive convection from the rear engine via a pull cable operating a vent valve. Power is limited to about 60hp, so keeping up with traffic is possible as long as your travels are mostly city streets. The only problem is, most of these had generators (not alternators) which don’t produce a lot of power at idle. What to look for? We highly recommend you first read this buying guide. In short though, buy the most original Bug you can find, one where the seller has many years of ownership. Many of these have been lost to chop shops and modifications, and with over 21 million made world-wide, we recommend being patient, the right one will come around. Check for original steering wheels, seat material, pull knobs, vent windows if equipped (check to see if it SHOULD have them, as many have been replaced with full windows). Check the exhaust for mods, and check to see how all the panels fit as this could be a sign of prior damage. Don’t rely on a CarFax for these of course. These cars present themselves unabashed. There’s no preconceived notion of performance or luxury. What they are though is a rolling driving worldwide icon within the automotive industry. They are someone’s first car, someone’s bucket list car, someone’s passion and hobby, someone’s only means to get to work in a poverty stricken country, a summer car, a second daily car…no other car will ever replace it in that category. Ever. 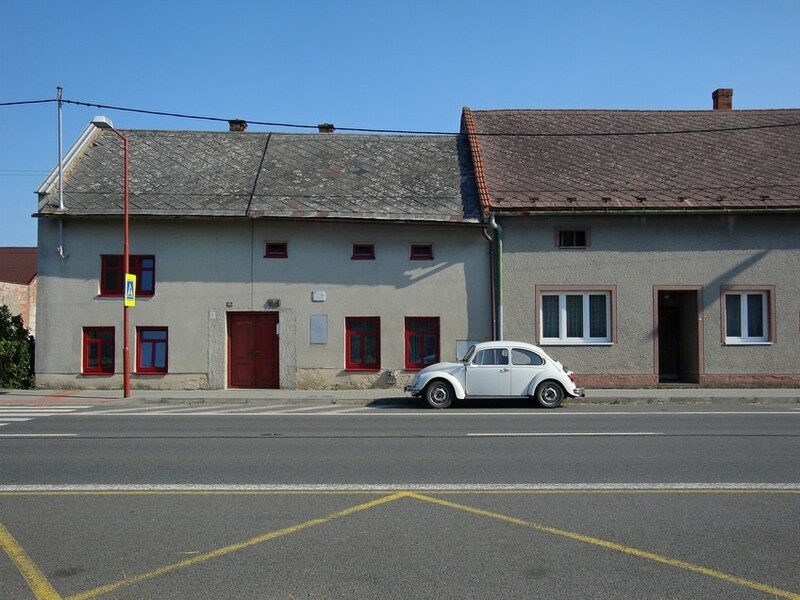 Unfortunately I have no pictures of that first car…I’m sure it’s still on the road, probably with less paint and even fewer body parts than before…but it’s out there. 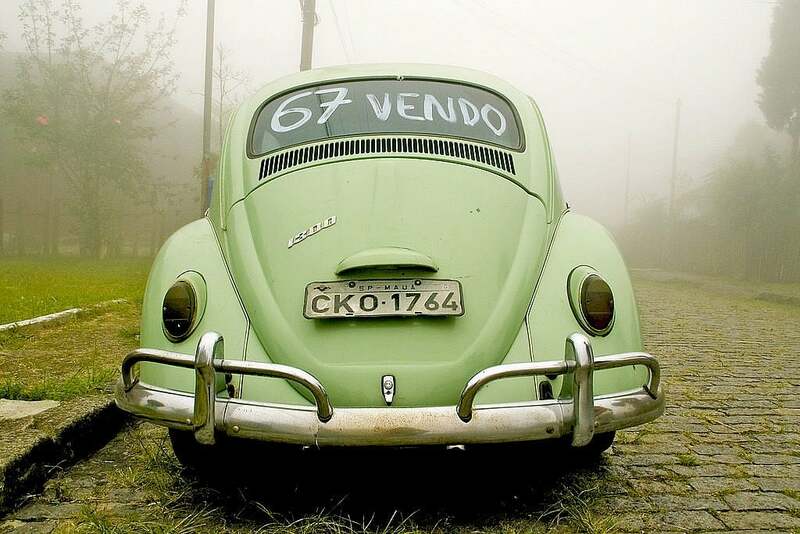 This entry was posted in German Classics and tagged beetle, bug, vintage, volkswagen, vw.